The view across London from the 42nd floor. Note the Metro Central Heights buildings by Erno Goldfinger in the foreground, which will be retained during redevelopment of the E&C. 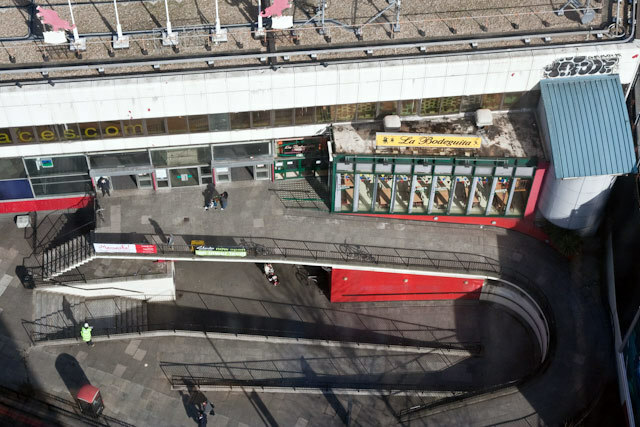 Looking down towards the rear of the Elephant and Castle shopping centre. 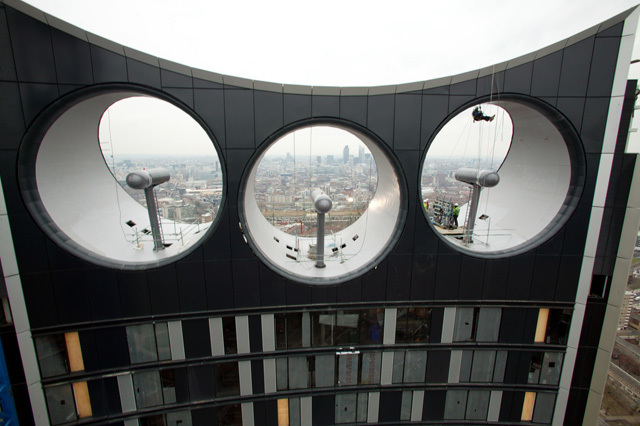 Looking out from the 'sky lounge', where residents from the upper floors can mingle. 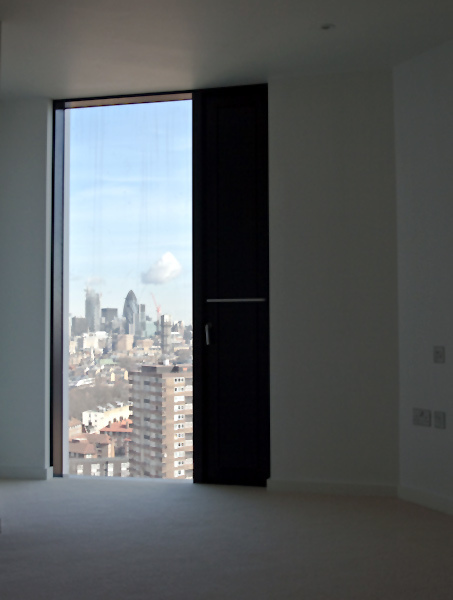 Floor to ceiling windows are standard in all apartments. 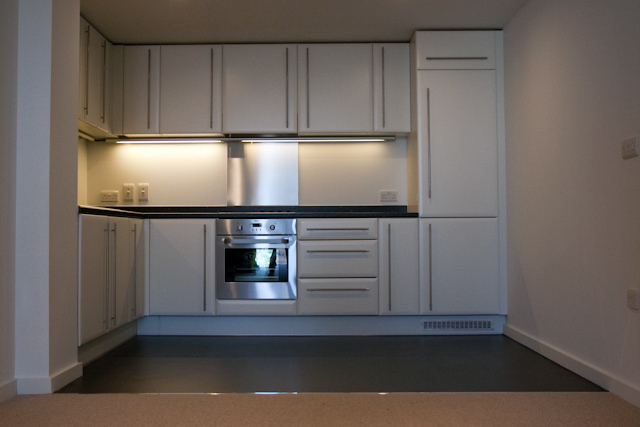 Although windows cannot be opened, the vertical black strip can be pulled back to allow ventilation. 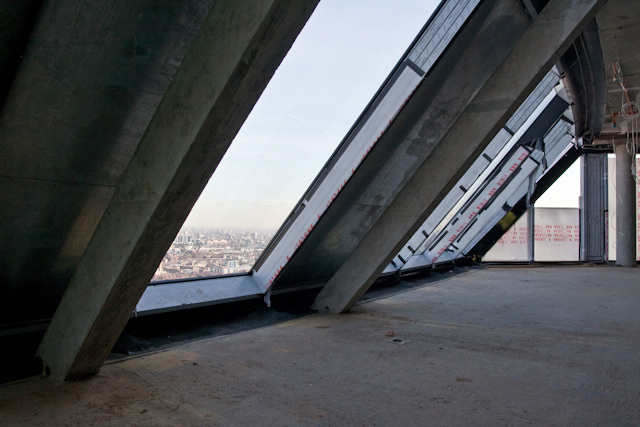 The windows are heavily soundproofed, as is immediately apparent when the ventilation strip is closed. Chances are you'll have seen Strata, even if you weren't looking for it. 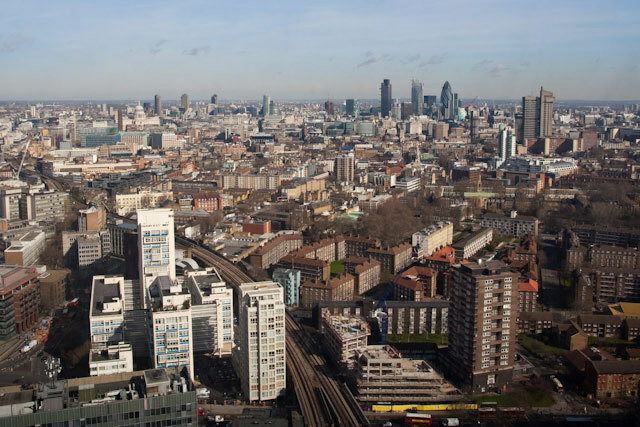 The 147m-tall tower looms over south London, drawing in the eye from most of the city's vantage points. 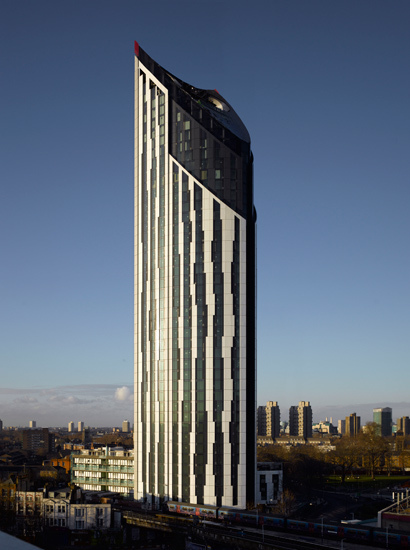 With a distinctive profile that has sharply divided architecture fans and local residents alike, and a sloping crown topped by a trio of wind turbines, Strata is perhaps the capital's most conspicuous example of sustainable architecture.